There are quite a few of those who belong to extremist organizations, supported and sponsored as they are by the State of Qatar to infiltrate Eritrea. But Mohammed Jumaa Abu Rasheed is the most famous of them all, to the extent that activists characterize him as the “Qardawi of Eritrea”. Qatar’s Al-Jazeera TV channel, notably in the past few months, has praised Abu Rasheed and his articles against the Eritrean government against the backdrop of the closure of Al Diaa School. The government’s decision is due to the school’s refusal to join the system of education in Eritrea. According to Al-Ain news portal from various sources, Abu Rashid, who was born in the 1960s, is one of the preeminent [Muslim] Brotherhood leaders of Eritrea, where he was nurtured within the [Islamist] group. He received his primary education in Eritrea and the secondary school in Khartoum, before joining Al-Azhar in Cairo, to major in Islamic studies. Abu Rashid has not set foot in Eritrea since the country gained its independence from neighboring Ethiopia in the early 1990s, which saw the ascension of Isaias Afwerki to power. Throughout this period, Jumaa has been traveling between Qatar, Turkey and Sudan, where he has strong connections with Muslim Brotherhood elements in these countries, although he has chosen Birmingham [UK] as his permanent refuge, working as a teacher in an Islamic preparatory school there. The Eritrean [Islamist] “Brother” recently operated with the help of Al-Jazeera in leading sectarian campaigns against the regime. The demonstrations were held in front of the Eritrean Embassy in Britain under the name of “Juma Al Karama” under the pretext of “advocacy” for the issue of the Al Diaa school and its director who is currently detained by the authorities. Al-Jazeera has adopted these events, which coincided with another similar inside, on the grounds that it is an Eritrean spring to uproot the Afwerki regime, which is the practice of the channel and its sponsoring state. Qatar seeks these moves to enable Abu Rashid and other Eritrean [Islamist] brothers to come to power, according to Eritrean activists who call him “Qaradawi of Eritrea”. 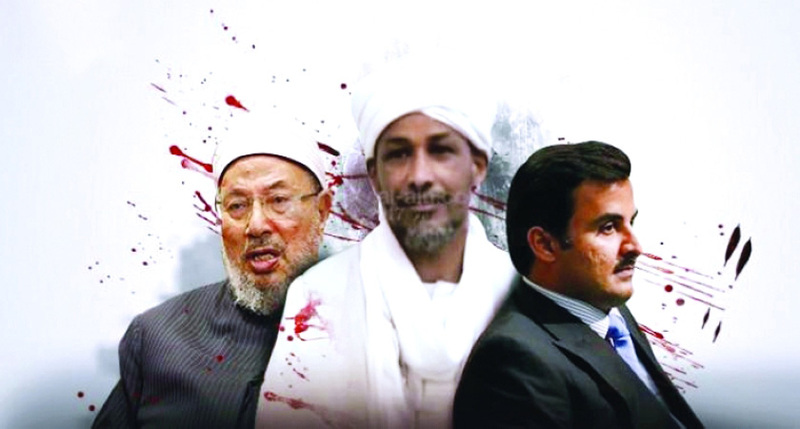 In the estimation of many, the “Qardawi of Eritrea” has not been and will not be the last stop on the agenda of Qatar, the incubator of the elements of the Muslim Brotherhood. Its destructive project continues, the project which the four anti-terrorism countries seek to amputate, so as to safeguard the security and stability of the countries of the region.